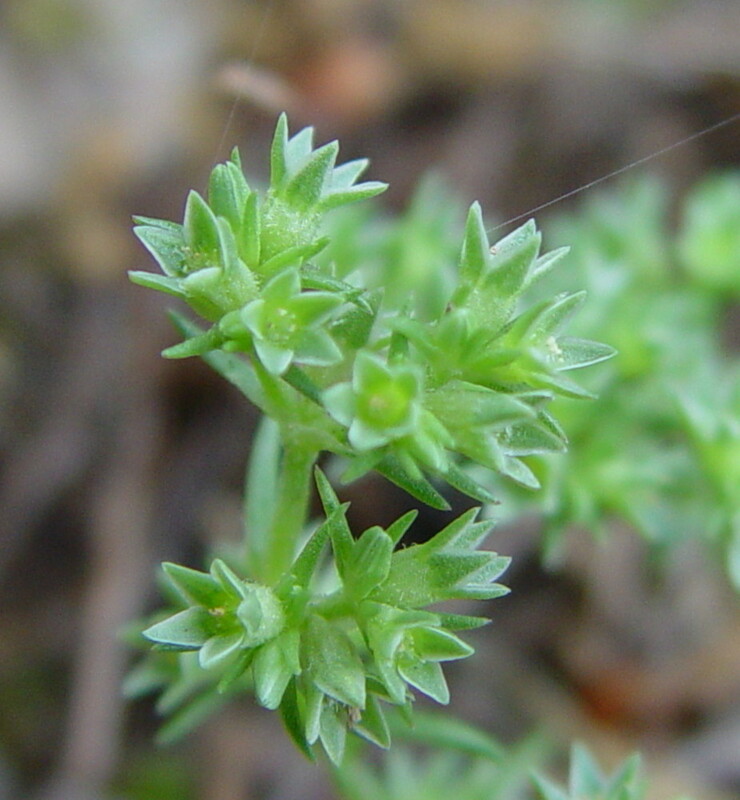 Annual knawel is native to Europe where it is a frequent weed of crops. 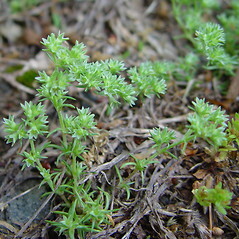 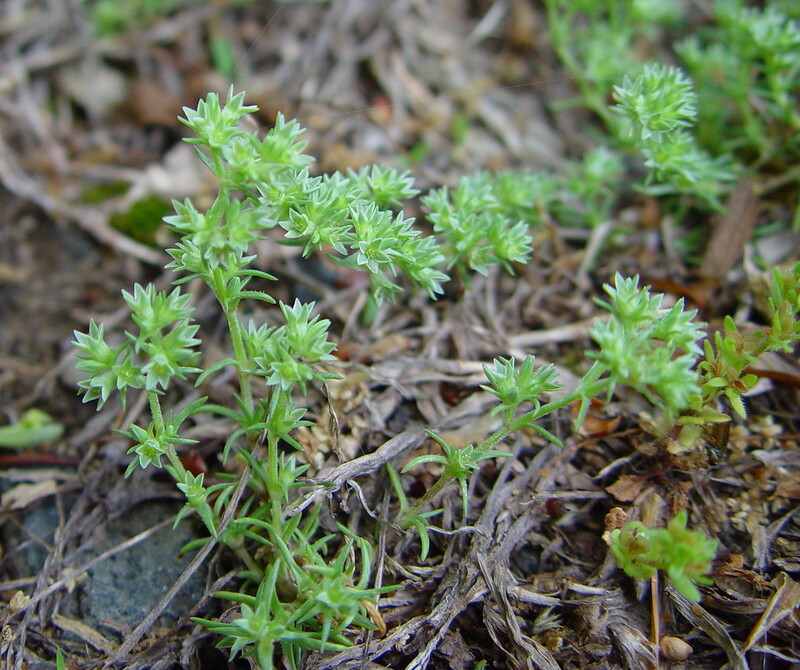 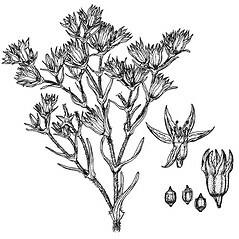 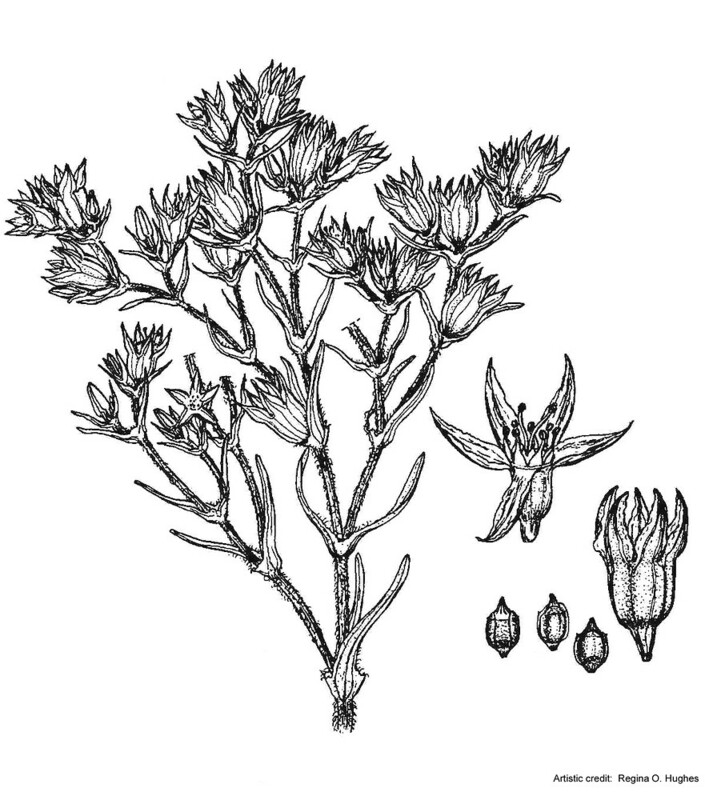 Flower essences of annual knawel are occasionally used by herbalists to treat indecision or mood swings. 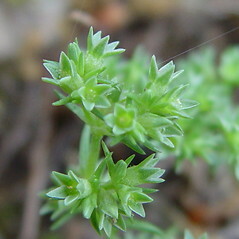 leaves elliptic to ovate or obovate, with stipules, and capsule with many seeds (vs. S. annuus, with leaves linear, without stipules, and fruit a one-seeded utricle). 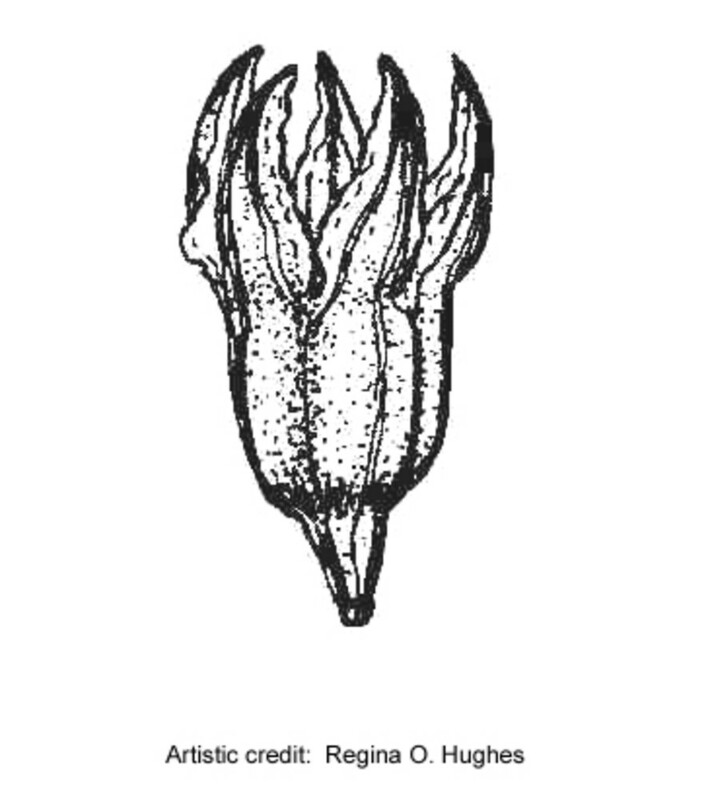 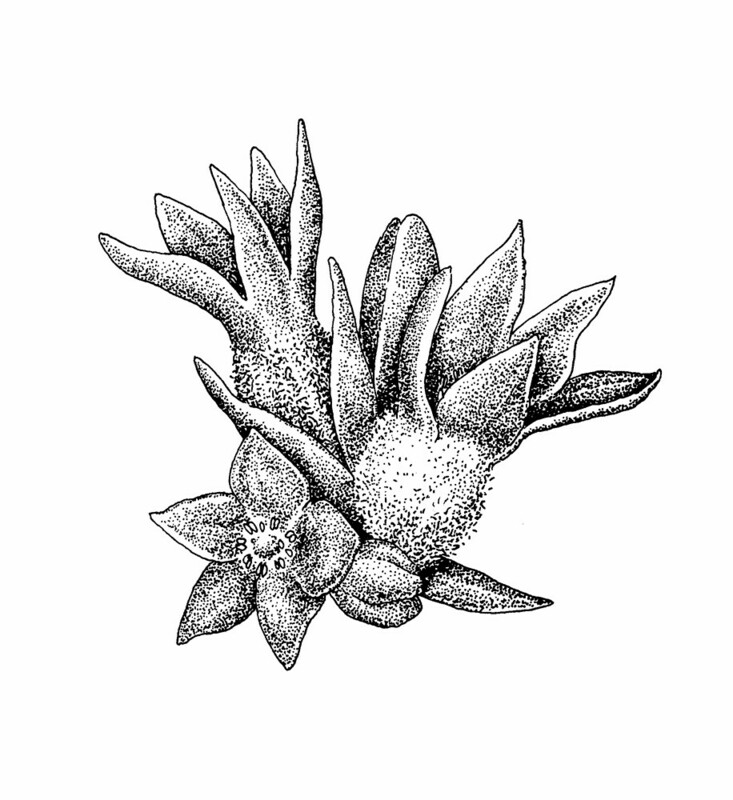 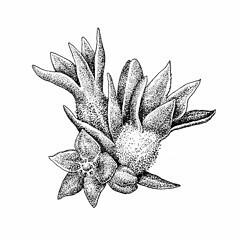 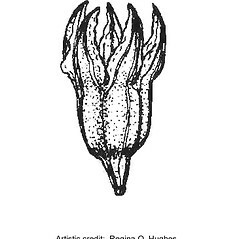 sepals obtuse to rounded at apex, usually introrse in fruit and overlapping, with a broader white-scarious margin 0.3–0.5 mm wide, and floral bracts mostly shorter than flowers (vs. S. annuus, with sepals acute at the apex, spreading to erect in fruit, separate, with a narrow, white-scarious margin up to 0.1 mm wide, and floral bracts equaling or exceeding than flowers). 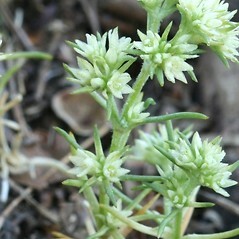 annual knawel. 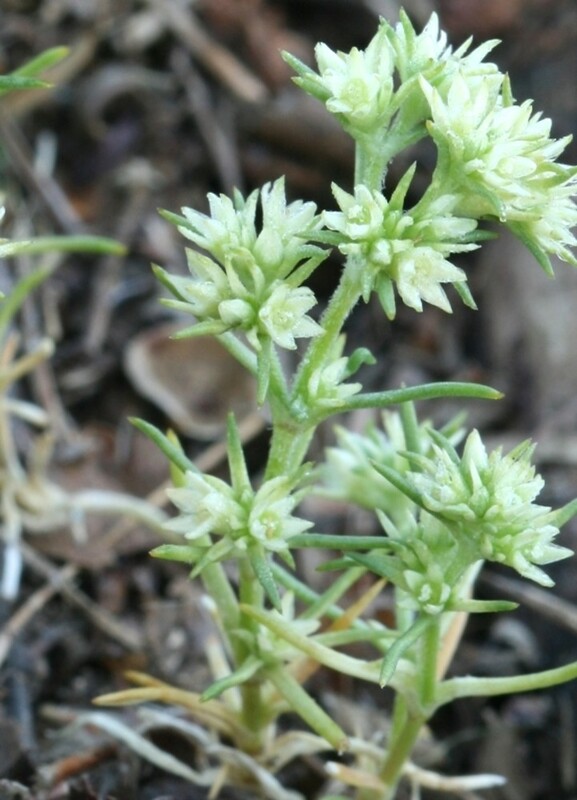 CT, MA, ME, NH, RI, VT. Dry, open, sandy areas such as roadsides, yards, and dry fields.